Our split case pumps has been developed to offer the end user maximum efficiency and design life over a wide range of duties. The well proven design not only achieves market leading efficiencies, but also offers long component life, easy maintenance and reduced levels of efficiency degradation. 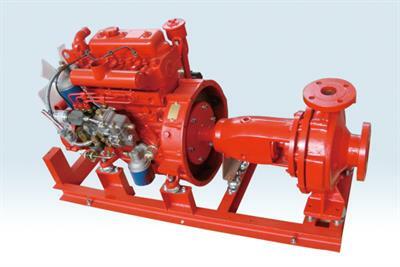 With our end suction pump, or split case pump, to meet your different requirements in fire fighting application. By Tramco based in Wichita, KANSAS (USA). By Amisy Metal Recycling Machinery based in Zhengzhou, CHINA. By ITT Goulds Pumps based in Seneca Falls, NEW YORK (USA). Special pump for floating- and dry docks with intermediate shafts and intermediate bearing brackets. 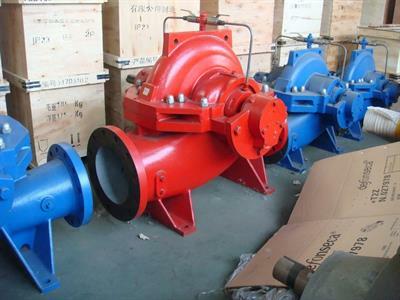 Single state, double suction volute casing centrifugal pump with radially split casing. Removal of the rotor in upward direction. 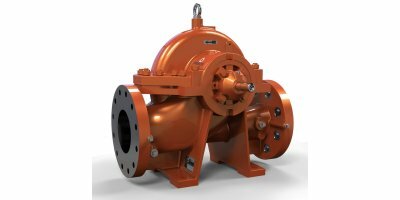 TC Series Pumps provide the ultimate in reliability and ease of installation for heating, air conditioning, pressure boosting, cooling water transfer, and water supply applications. The TC Series' top suction and discharge make this product line the ideal choice for minimizing your installation footprint. Axial Split Pump Q= 10000 m³/h. H= 140 m. P= 25/40 bar. T= 150°C. By Maui Water Systems Inc. based in Irvine, CALIFORNIA (USA). Design Features: NFPA-20, UL-448, FM-1311, FM-1312, Special design available on request. Available in one, two and three stage configurations, the P600+ centrifugal air and gas compressor provides a reliable flow up to 180 m3/min or 6,500 CFM. As a member of the Polaris+® series, the P600+ centrifugal compressor provides a variety of industries with reliable, ISO 8573-1 CLASS 0, 100% oil-free air to power their vital operations. Single Stage, Centrifugal, Engine Mounted. The Ruhrpumpen type SM is a heavy duty, horizontal, axial split casing, volute type, multi-stage, centrifugal pump according to API 610, latest edition. 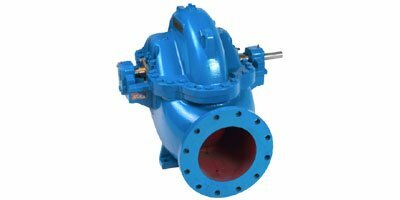 SM pumps with axial split casing are robust and reliable. Hydraulic balance is obtained by arranging the impellers in opposed groups. By Zhejiang Pacific Pump Manufacture Co., Ltd based in Wenzhou, CHINA.